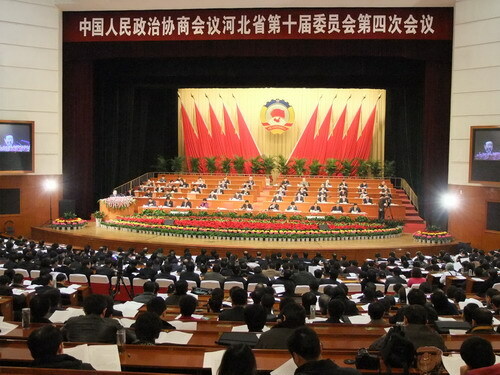 The fourth session of the tenth Hebei Provincial Committee of the Chinese People’s Political Consultative Conference (CPPCC) opened on Jan 11th, 2010 at Hebei Conference Hall in Shijiazhuang, the capital of North China’s Hebei province. Liu Dewang, the chairman of Hebei CPPCC Committee, while speaking during a work report to the conference, approved the works done in 2010 and encouraged the provincial CPPCC members to continue contributing to Hebei’s economic and social development. Over 700 provincial committee members attended the conference, including Hebei Party Secretary Zhang Yunchuan, Hebei governor Chen Quanguo and vice Party Secretary Fu Zhiping and other top government officials. 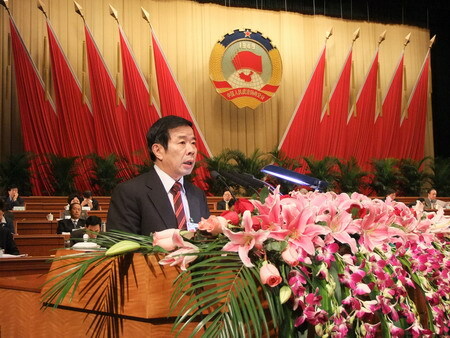 The work report said that the 2011theme for the Hebei committee is unity and democracy. The committee is to provide extensive support for Hebei’s development, with contributions from all parties and all walks of life, and to aid and offer suggestions to the Hebei government on various issues, with human welfare and social justice being the most concerned.